Joy Romero has a career spanning more than 30 years, having worked in iron ore, coal and oil sands in both operations and consulting. Her early career was focused on coal. 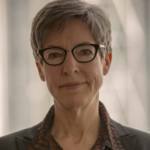 In 1997, she moved to oil sands joining SNC-Lavalin to be a part of the team that built the Suncor Millennium project. In 2001, Joy joined Canadian Natural to steward the development, commissioning and operation of Bitumen Production within the Horizon Oil Sands Project. She was the chair of the Canadian Oilsands Network for Research and Development’s (CONRAD) Bitumen Production Focus Group and is past Chair of CONRAD overall, a member of the Shareholder Steering Committee and Chair for the Board and HR Committee of Canada’s Oil Sands Innovation Alliance (COSIA), and a Board member of PTAC. In April of 2014, Joy was appointed a member of the Government of Canada’s Science, Technology and Innovation Council (STIC). Canadian Natural Resources Ltd. (Canadian Natural) is a senior independent crude oil and natural gas exploration, development and production company. It has a diversified asset base comprised of heavy, light and synthetic crude oil and natural gas, with operations in Canada, the United Kingdom and Offshore Africa. 1- Carbon itself is not the enemy, however Canada needs to ensure that hydrocarbon production has the lowest footprint possible. 2- Reducing their environmental footprint could increase productivity and decrease capital and operating costs for large oil companies. 3- The majority of the oil sector’s solutions come from SMEs, so the industry welcomes the boost in venture capital support for start-ups. The oil and gas industry must realize that there is a cost advantage to reducing our environmental footprint. The Canadian oil and gas industry faces intrinsic challenges as well as global ones such as decarbonisation. Where does Canada’s oil and gas industry stand in an increasingly decarbonizing world and what must it do to remain relevant? The oil and gas industry has always been innovative, which is why it exists in the first place. It is the industry’s intention to be around for a long time and we believe that the need to innovate, to stay current and to meet society’s energy needs is an ‘and’ story. Decarbonisation has to do with the removal of carbon as emissions, so carbon in itself is not the enemy but we need to make sure that the production of hydrocarbons has the lowest footprint possible. We are working very hard to achieve that. There are many options available in terms of reducing emissions: we can capture the emissions once combustion has taken place, we can capture and convert or store them, or we can avoid combusting them in the first place. Going forward, we believe that all forms of energy will be necessary. As an industry, we are in the process of making sure that the production of Canadian hydrocarbons has the smallest footprint and is by far the preferred hydrocarbon globally because of its low footprint. Does that include a greater focus on using hydrocarbons to produce materials and less emphasis on combustion as fuel? Many things can be made with hydrocarbons besides fuel for combustion, and we are looking at the full spectrum of options to have a thriving hydrocarbons industry in the future. For instance, we are looking into the manufacturing of hydrocarbon products such as hydrogen, carbon and even graphene. We want to follow these products all the way to their end use to make sure that their footprint is as small as possible. What role does the Clean Resource Innovation Network (CRIN) play in this transition? We formed CRIN with the vision that Canada becomes a global leader in producing clean hydrocarbon energy from source to end-use. CRIN is a network, which is really important. Groups like Alberta Innovates, the National Research Council, the University of Alberta, the University of Calgary, and pretty much every research institution across the country, are all busy working on some aspect of hydrocarbon footprint reduction or some alternate use of hydrocarbons, as is the industry. Everybody is focusing on having clean and low cost energy in the future and CRIN is a network that connects everyone and allows all of the various groups to see who is doing what. CRIN also connects the finance people to the innovators at the right time to help these great ideas be commercialized and therefore accelerate the speed of commercialization. So industry will declare what its issues are and where it needs solutions, and that kind of industry pull for technologies will hopefully help groups understand where and how their work can support where we need to go, while providing them with the right financing mechanism to develop their business. It is definitely an industry pull and it is transformative in bringing Canada’s resources forward so that we are not stranding valuable resources. It creates a platform that grows our entrepreneurs and our innovators in a low carbon, low cost economy, and allows them to bring their technologies and their ideas through to fruition and through to commercialization. It also creates Canadian jobs, a vibrant economy and something that can be exported; not only across our country, but also globally, because these energy needs are required to sustain our entire globe. So this is very important work that will position Canada to market its hydrocarbon resources but also to market the technologies to both produce and use those hydrocarbons in potentially different ways. Moreover, these answers do not serve only the oil and gas industry; they serve any activity that uses hydrocarbon energy, as well as many technologies that can reduce their footprint in any way. For instance, anything we do with large trucks can be used in other kinds of vehicles and progress in reclamation can be applied to other resource industries. Canada has always been a global leader in resource innovation and we simply want more of the same. The federal government’s last budget included a boost in venture capital support for start-ups. How crucial is this kind of support for the oil and gas industry, and what more must be done to improve financing for SMEs? It is always welcome; and by far the majority of our solutions come from SMEs. CRIN is an industry effort to get our questions and our needs out there by creating a technology pull and communicating them quickly so SMEs can really create things that are required as we go forward. At Canadian Natural, we always try to communicate well with the SMEs that have an opportunity to help us with solutions, and we try to work alongside them as much as possible by designing areas to pilot. If companies can get their financing from other areas, then that allows them to keep more of their autonomy and their IP intact. That is always a good thing because then they can grow independently while serving us, and then also serve other companies or even other industries. SMEs typically need more than just the pilot or the consumables associated with that pilot, which is what we usually pay for. Companies need to build their facilities, their manufacturing capacity and their intellectual capability and we do not have the capacity to pay for all of that, so they need other resources to help them along in that area. Canada already does a great job at ideation and bench scale but the commercialization component is the really tough spot and we need to do that better. Canadian Natural Resources Ltd has regularly been one of the biggest R&D investors in the Canadian oil patch and in the overall economy. What is the company’s approach to R&D to improve the sustainability of its operations and what sort of measurable improvements is the company aiming for? We aim to continuously reduce our environmental footprint. Our current work focuses on reducing greenhouse gas emissions, reducing our water and land use, while being able to exist in a low cost, low oil price economy, which is extremely important for the company. If you look at the work that we are doing today, it supports all of those goals. By far the majority of our projects address both our productivity and our environmental improvements simultaneously. In terms of measurable improvement, we follow all of the Canada’s Oil Sands Innovation Alliance (COSIA) targets. In that respect, we aim to produce our oil and gas on par or more competitively than other available sources of hydrocarbons and we are well on our way to achieving that. Obviously, there are huge benefits in doing this and we find it is extremely complementary to our economic performance and our bottom line too. When we reduce our environmental footprint, we also increase our productivity and decrease our capital and operating costs, so everyone wins. There must be more than a hundred different projects going on across the company at any given time. We generally work on a suite of technologies, oftentimes even on the same topic to run things in parallel instead of only in one area at a time. However, the majority of our projects seek to reduce the greenhouse gas input our operations require. People need to realize that there is a cost advantage to that as well. Given the cost of burning natural gas or other combustibles, it obviously makes sense to keep that to a minimum. Methane is a huge part of this work, whether it is on the in situ, mining or heavy oil, or conventional side. There are some really novel things that are out there from a methane reduction point of view and being able to capture or reuse emissions is really important to us.